Be a part of Priceza! We are a vibrant group of people who love to work for a fast-growing e-commerce business. Priceza is a shopping search engine and comparison platform founded in 2010 by three computer science engineers, Thanawat Malabuppa, Vachara Nivataphand, and Wirod Supadul. The service operates in 6 countries in Southeast Asia including Thailand, Indonesia, Malaysia, Singapore, Philippines, and Vietnam. 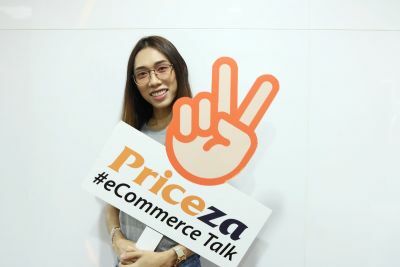 Priceza helps millions of shoppers access information to make smart shopping decision, and thousands of merchants to connect with online shoppers. Our mission is to empower shoppers across Southeast Asia with a one-stop portal for information to make smart shopping decisions. Leveraging on search technology, Priceza aims to enable consumers to easily access pricing information, product and merchant reviews, buyers guides and the latest deals in town. Do real work, learn good work and contribute on a daily basis. To provide students with work experience in a multicultural company. To provide students with opportunities to develop contacts and professional references within the industry. Send your CV to jobs@priceza.com, and wait to hear back.